Get the full concert from http://www.ukuleleorchestra.com ! This is the Ukulele Orchestra's version of Wheatus' 'Teenage Dirtbag' (Trivial detail: they once performed this song with Wheetus themselves in Bangor, North Wales). 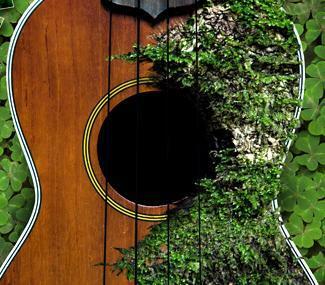 On Tuesday 18th August 2009, with every seat and all standing room occupied, the Ukulele Orchestra of Great Britain played to a sold-out Royal Albert Hall in London, with over 6000 audience members, and well over 1000 of them bringing ukuleles to join in with Beethoven's "Ode to Joy". This clip is taken from their DVD "Prom Night", The Ukulele Orchestra of Great Britain Live at the Royal Albert Hall BBC Proms 2009, made from filming on the night, which the Ukulele Orchestra has managed to get access to. The DVD is available only from www.ukuleleorchestra.com and has never been broadcast, signed, licenced or sold elsewhere. This DVD cover notes say it "is a complete record of the Ukulele Orchestras Proms debut, with footage of the full concert. Extras include interterviews and atmospheric scenes of impromptu music-making from ukulele-playing audience members, backstage footage of the Ukulele Orchestra prior to the concert, 5.1 Surround Sound and ukulele sheet music for the participation piece Ode to Joy."